Trick or Treat: Avoid Slip and Fall Claims This Halloween - Hames Anderson Whitlow & O'Leary, Attorneys at Law, P.S. While you get the costumes ready, break out the decorations, and make sure you are fully stocked up on the best candy, what steps have you taken to improve your home’s safety? Halloween is that time of the year that lets homeowners completely transform their property. While you want to be the scariest house on the block, you still need to consider safety. 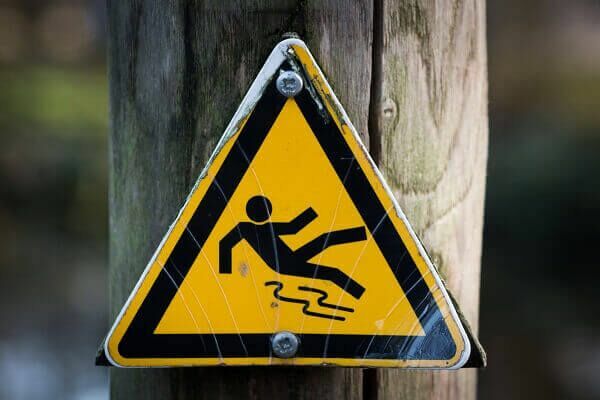 From the strobe lights to the tombstones, trip and fall hazards might be at every turn. If someone gets hurt on your property or you are hurt on someone’s property, the responsibility falls on the owner. Premises liability is an area of the law focusing on when visitors are injured while visiting a property. These cases occur on private and public property, and the owner might be found at fault for the injury, which means they are liable for all costs stemming from the injury. Who Is the “Owner” in a Premises Liability Case? The ownership of the property determines who is responsible. But even if you are not the owner, you could be liable. Homeowners are typically liable for accidents that occur on their property. Tenants might be immune from liability, but only if the landlord’s negligence played a role in causing the dangerous condition. If the tenant is the cause of the hazardous situation or they violated safety rules in their lease, then they may be liable for the injuries. To avoid being held liable in a premises liability case, you need to exercise caution. Look for potential hazards and correct them before the big night. And while you are decorating, consider the safety implications of the décor you use. Keep everything lit. For some reason, Halloween encourages homeowners to dim the lights, use dark-colored bulbs, and add a level of spookiness to their home. Despite these temptations, you still need well lit walkways and porches. Not only does it encourage trick-or-treaters to come, but it ensures they can see everything in their way. Fix tripping hazards. Look for potential tripping hazards on your property. For example, electrical cords should not cross sidewalks, porches, or walkways. Remove all garden hoses from walkways, and in-ground decorations like your tombstone display should be pushed back to the center of the yard. Do not use fog machines and strobe lights that reduce visibility. You can use fog machines and strobe lights, but don’t place them in the walkways where it makes it hard to see your steps or even objects that might be along the way. Instead, use your fog machine and strobes in the yard or in garden areas. Keep your carved pumpkins out of the way too. You want to display those works of art you made on your pumpkins this year, but keep them out of the way for trick-or-treaters. Also, move them to a safe place where kids won’t be tempted to kick or break them. Broken pumpkins are slippery, which only increases the chances of someone slipping on your sidewalk. Your kids are ready for the big night. But before you let them venture out, make sure they are just as safe as when they are in your home. You cannot control what your neighbors do with their decorations, but you can help improve safety on your end by preparing your children. Do not let them cut through the yard. Despite the temptation, teach your children to stick to sidewalks and walkways when approaching a neighbor’s door. The yard might have Halloween decorations, cords, or cables that would cause them to trip. Keep the costume comfortable and appropriate for walking. Your child’s costume might not fit perfectly, but do not let them go out with an outfit that is too long and easily tripped over. If the material drags on the floor, pin it up out of the way to avoid trips. Remove masks and hats that obstruct vision. Masks that are too bulky and limit your child’s field of view only increase the likelihood they will trip, slip or fall. Wear the right shoes for the trip. Halloween costumes do not need high heels and awkward footwear. Instead, make sure your child wears well-fitting, comfortable shoes with good grip. Consider the weather before going out. In Washington, you never know when the rain might strike. If it is raining on the big night, use extra caution and look for muddy patches and other slipping hazards. Bring along an umbrella too. Whether an accident happens on your property or someone else’s property, you need to know what to do – not only to prevent further injury, but to protect yourself. The owner created the dangerous situation – such as using Halloween decorations that blocked the walkway and caused someone to fall. The owner knew about the danger but did nothing to fix it. The owner should have reasonably known about the hazardous condition but failed to fix it. If you or your child injures themselves on someone’s property, get medical attention right away. If you can, document the scene, including taking photographs of the area where your child was injured and what caused them to fall. Then, contact an attorney regarding your injury. When owners are negligent with their Halloween decorations or allow trick-or-treaters to approach their door despite trip and slip hazards present, you may be entitled to compensation. To explore your options, contact a personal injury attorney in your area. Schedule a no-obligation consultation with Hames, Anderson, Whitlow & O’Leary today by calling 509-586-7797 or requesting more information online.